You probably get the sense that our engagement team are masters at getting things done. We love all things to do with making people’s lives better and more sustainable and we aim to be the change. Everything we do for our clients we also work on at SES. Darla can translate any sustainability strategy from idea to action. 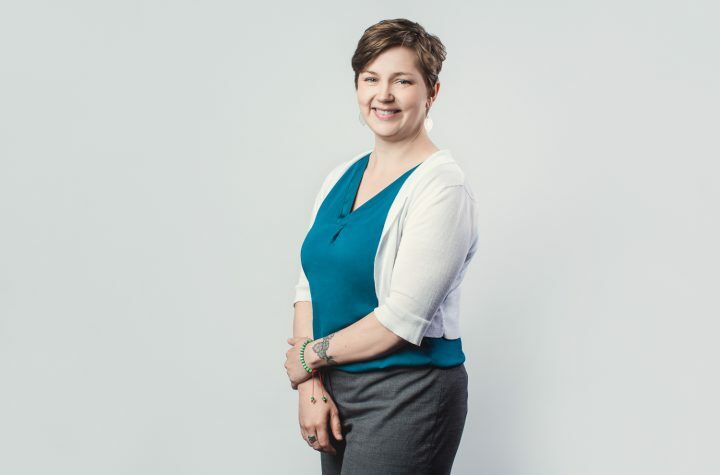 She specializes in change management: helping clients imagine what sustainability looks like for them and using policy, stakeholder engagement, and social marketing to make it happen. Her heart is in grassroots sustainability, especially where individual action and emerging technologies meet. In 2003 she founded the Elements Society. Their Destination Conservation program has helped 100’s of schools reduce energy, water and materials waste and empowered 1,000’s of student and adult leaders. This was where she learned how individual’s can drive organizational change and create big impacts. Now Darla can decipher complex organizations to find the right leaders and the best opportunities to create a culture of sustainability. Her mix of idealism and relentlessly practical nature is one of the reasons Darla also wears our HR hat. Helping our staff and SES to live our values today, and find ways to be even better at it tomorrow. Darla spends the balance of her time exploring with her partner Nels and their son. Learning about bugs or the physics of the bicycle – whatever is of interest that week. If she isn’t playing, she probably has her nose in a book with a cold craft beer near by. If you feel like having a really passionate (possibly nerdy) discussion, just ask her about behavioural economics or politics and you’re good for about an hour. Julia has extensive experience in online and in-person engagement around clean technology and sustainability. Prior to joining SES Consulting, Julia co-lead the delivery of electric vehicle charging incentives at Plug In BC, and helped deliver Fraser Basin Council’s zero-emission vehicle adoption and green fleet initiatives. She also designed educational forums on clean technology at GreenTech Exchange and assisted program delivery at SFU Public Square. She holds a Bachelor of Arts in Communication with Distinction and a Minor in Dialogue from Simon Fraser University. When she’s not nerding-out about cleantech, Julia spends her time instructing yoga, jamming on her ukulele, and exploring nature.